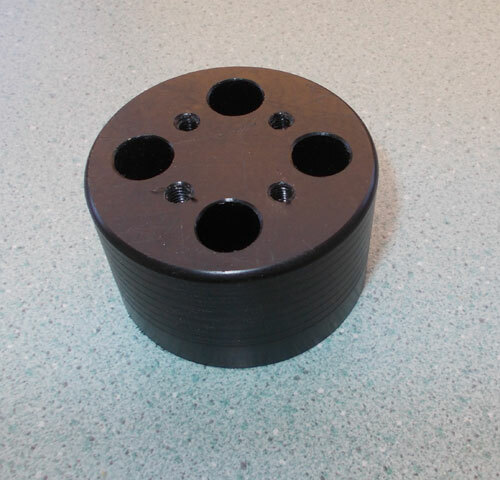 Packer is 60mm in diameter and 35mm high. 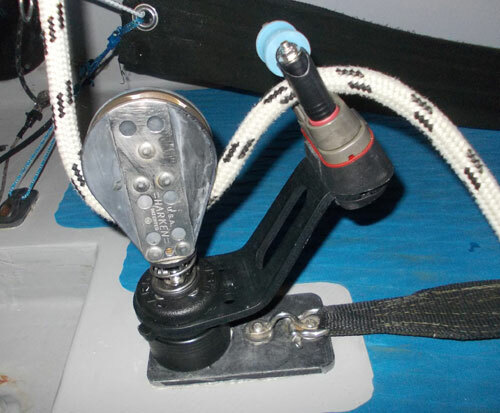 Made from acetal plastic with 20mm deep countersunk mounting holes at 36mm centres to replace the standard harken ball type swivel mount. 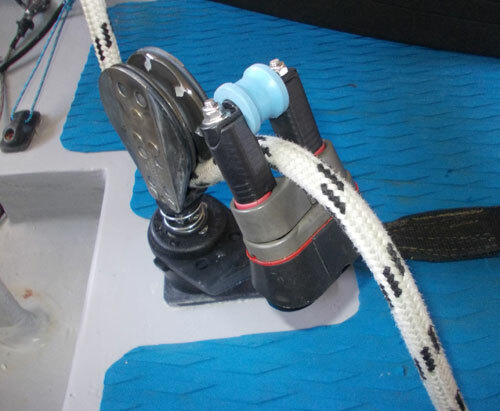 5mm full length tapped holes to screw the Harken 144 base directly to the packer.